In the winter most of Glacier National Park is accessible only to the adventurous willing to travel by skis or snowshoes. However the winter visitor to the back country of Glacier is rewarded with spectacular views. 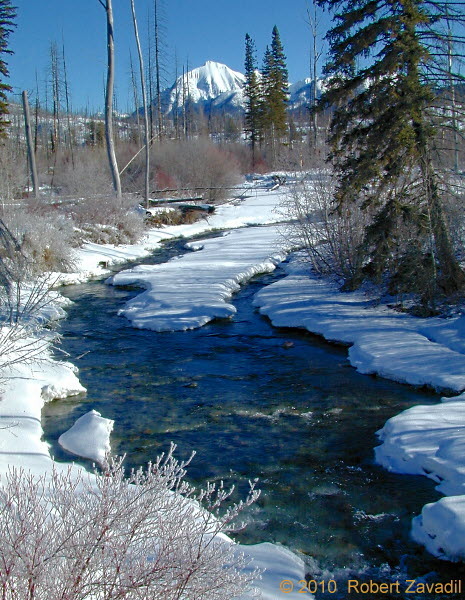 Bowman Creek, seen in this picture, can be reached by a short ski from the Polebridge entrance station.